As exit polls on Friday gave the Congress a clear win in Rajasthan, the party looked set for trouble over the chief minister's job after the results are declared on Tuesday, December 11. So far, the party has kept the Ashok Gehlot versus Sachin Pilot question in reserve. Last month, the Congress refused to pick between the two and had both contest the assembly polls. Ashok Gehlot, 67, a two-time former chief minister of Rajasthan, on Friday dodged NDTV's pointed questions with practiced ease. Asked to comment on the sound of "Mukhya-mantri Gehlot", the veteran said: "Since independence, the party has never announced any chief ministerial candidate in a state before elections." 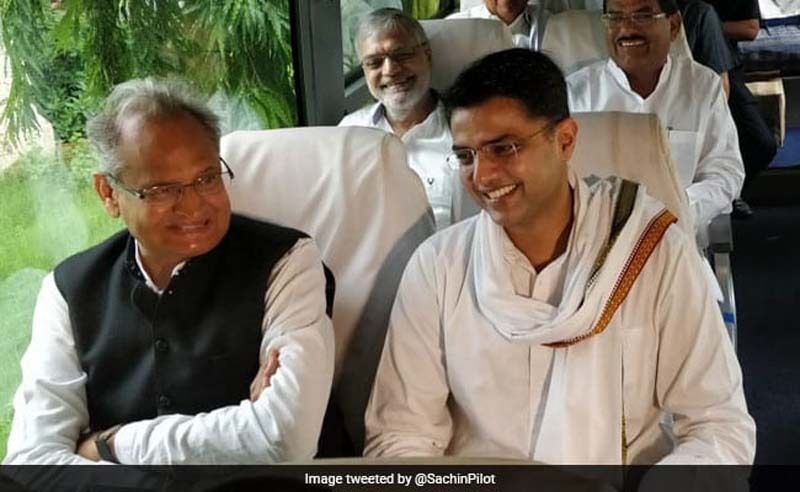 Asked whether he thought 41-year-old Sachin Pilot, the state Congress chief, would make a good chief minister or needed more experience, Mr Gehlot did a neat side-step. "It is a hypothetical question. I will not put a question mark on anyone's capabilities. You should not ask me that," he said. He turned to his default response to most tricky questions. "The high command will decide what role who will work in. No post is priority for me," he said." Asked whether he would like a role in Rajasthan or in national politics, Mr Gehlot said: "My duty is to do what the party decides. I have been a chief minister for 10 years, a union minister thrice, I have never asked for anything and the party gave me everything. Why ask now?" He added: "If the high command tells me Rajasthan, I will work there. If Delhi, then I will work in Delhi."